Volvo to recall 200,000 cars over possible fuel leakage issue. The Volvo XC 60 is listed in the latest recall. Volvo Cars is to recall some 200,000 cars worldwide after discovering a potential fuel leakage issue in the engine compartment. The issue affects several diesel models produced in 2015/2016 and in Ireland 1900 cars are to be recalled. Reuters reports that the Volvo group said its probe had identified that some vehicles may have small cracks inside one of the fuel lines in the engine compartment, which along with a pressurised fuel system may over time lead to fuel leakage in the engine compartment. About 219,000 cars of 11 different models produced in 2015 and 2016 had been affected, the Swedish company said, with the highest number of impacted cars in Sweden, the UK and Germany. The cars affected include the V40, S60, V60, XC 60, V70, the S80 and variants of them. There are 30,000 cars affected in the UK and 1,900 in Ireland. Irish owners affected by the recall are to be contacted by Volvo Ireland. A spokeswoman for Volvo Ireland described the recall as precautionary and there had been no reports of problems here. The customers affected will be contacted by Volvo Ireland and asked to bring their cars in to have remedial work done, at no expense. 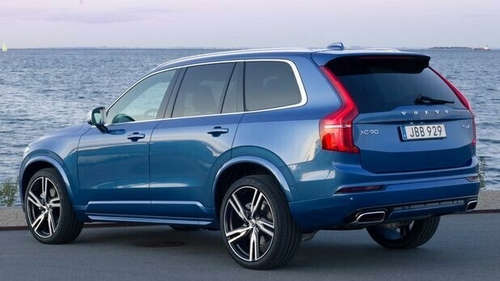 Last year Volvo Ireland carried out a recall of 130 cars, including XC60, S90, XC90, V90, V90CC, XC40 and V60 models because of a software issue in the Vehicle Connectivity Module (VCM), which means that in the event of an accident, the vehicle may not provide the correct location to the Emergency Services and the driver may experience a loss of position in the navigation system. Volvo sold 503,127 cars worldwide in 2015 and 534,332 cars in 2016. The company’s fortunes have been revived since the Chinese company, Geely, bought it in 2010 and its popular new premium models now compete with larger rivals Daimler and Volkswagen. It sold a record 642,253 cars in 2018. The Reuters report says a prolonged U.S.-China trade war has inflated raw materials costs and resulted in a slowdown in Chinese demand for cars. That has forced Volvo to spend to re-tool its global factories to limit the negative tariff impact and led it to postpone its plans to go public indefinitely. This month, Geely Automobile, the main listed unit of the Geely empire which owns Volvo, forecast flat sales this year. The company made its largest recall ever in 2004 when it called back 460,000 cars to fix the wiring in an electronic control module for the cars’ main cooling fan.